This Sunday, April 19th, at 4pm, New Vessel Press will host an event featuring a discussion on the history and development of the press, including a showcase of current and future titles. 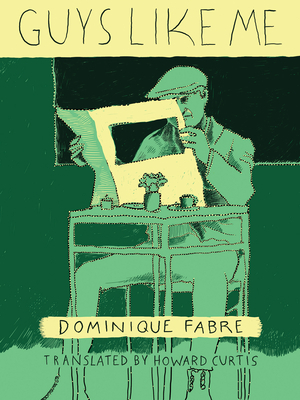 New Vessel Press was founded in New York City in 2012 and is an independent publishing house specializing in the translation of foreign literature into English. How did you come to found New Vessel Press? We enjoy reading books in other languages - Ross reads and translates from Russian and Polish and Michael reads German and French. The two of us met at the Manhattan Spelling Bee where Michael's son was a contestant and Ross was (and still is) the pronouncer of the words. As we became friends, we talked more and more about works of literature that we'd each enjoyed in other languages, and eventually became frustrated that so much of what we were discussing, we couldn't share with each other. The publishing house was born out of this fortuitous Spelling Bee encounter and a shared love of literature and enthusiasm for books and reading. How are books selected for the press? Some are books that we ourselves have enjoyed in their original languages; others came to us as recommendations from friends, academics, literary agents and publishing houses. We attend the Frankfurt Book Fair, read foreign newspapers and magazines and have traveled to many countries to meet with editors and authors abroad. In what ways is working with books in translation for English reading audience different from books written in English? We're looking for good books that are good regardless of where they come from. We believe that a great story is a great story. You don't need to be Mexican to enjoy Mexican food. Why would you need to be Mexican to enjoy Mexican literature? Our books have a sense of cultural particularity, they give a sense of place, a taste of the cuisine, a whiff of the local air, the color of the dirt in a small corner of another land, but they're also about the human experience, quite simply, and we can all relate to that. We try to find excellent writing that people really want to read and then engage translators who can convey the specialness of the writing to English speaking readers. NVP books have a very distinct look. How was that developed? Our graphic designer, Liana Finck, is incredibly talented and is responsible for our covers, our colophon and our catalog. In another fortuitous encounter, Ross met her in his apartment building elevator where Liana was carrying a sheaf of drawings inside a VERY large craft envelope addressed to "Bintel Brief" - this was a mock up she'd done for her wonderful graphic novel of the same name that was published last April. We're publishing six books each year and have our most exciting selection ever coming up this fall. 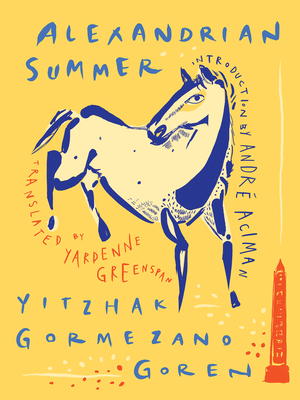 But even before that we're particularly enthusiastic about Alexandrian Summer, an Israeli novel by Yitzhak Gaormezano Goren that recalls the now vanished cosmopolitan world of Alexandria, Egypt and presages the Islamic extremism and violence that has come to plague that city. André Aciman, author of the memoir Out of Egypt, has written the introduction to Alexandrian Summer, which is coming out in May. In November, we've got a brilliant psychological thriller called The 6:41 to Paris set on an express train hurtling towards the French capital. It's constructed like an intensely intimate theater performance, a high-wire act of emotions on rails. There's also a beautiful Russian novel, Oblivion, dealing with the Stalinist past and the vagaries of personal and historical memory. And we'll publish our first English language original, On the Run with Mary, a mesmerizingly bizarre British novel about a youth who's escaped from an elite boarding school and meets a talking dachshund named Mary at a London railway station -- a potent blend of Peter Rabbit and Marquis de Sade. Where can people find out more about New Vessel Press? There's our website newvesselpress.com but better yet, check out our books at all three Book Culture locations and please come to the Columbus Avenue store on Sunday, April 19, 4 p.m. when we'll give a brief presentation about building a new literary publishing house from scratch on the Upper West Side and our efforts to "rebook" Manhattan. Celebrate good books and join us for drinks and snacks afterwards.